WFLO Institute Classroom Experience Offered in Three Locations! The WFLO Institute classroom experience is offered in three locations to help your team get the world's best cold chain logistics training. 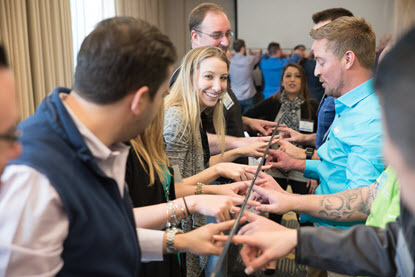 Once your team members have completed all three years of the WFLO Institute, enroll them in the WFLO Graduate Institute to help them take their leadership to the next level! Participation in the #1 temperature-controlled warehousingand logistics training is now more convenient than ever before! Experience less facility downtime and lower travel costs when you split Institute attendees from your facilities between three locations, held on different dates. Use the links below to learn more.